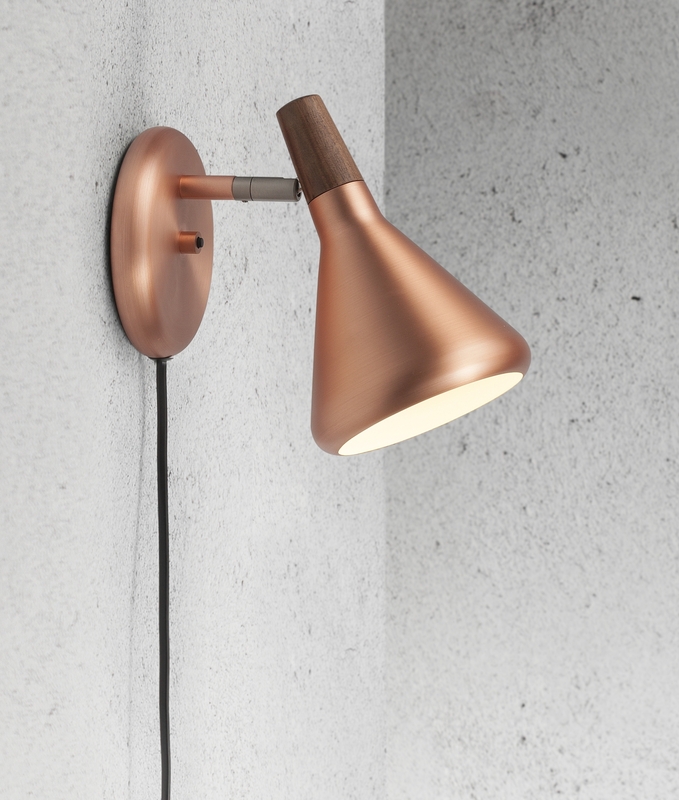 These adjustable wall lights are available in either a brushed copper or brushed steel finish both have an oiled walnut detail on the top of the lamp head. 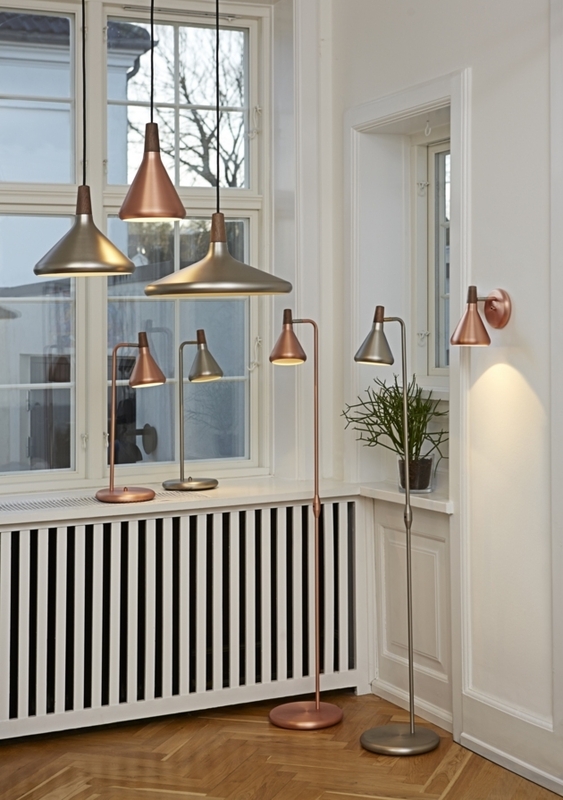 A quality Danish design, great for installation in many living spaces such as lounge or study area. 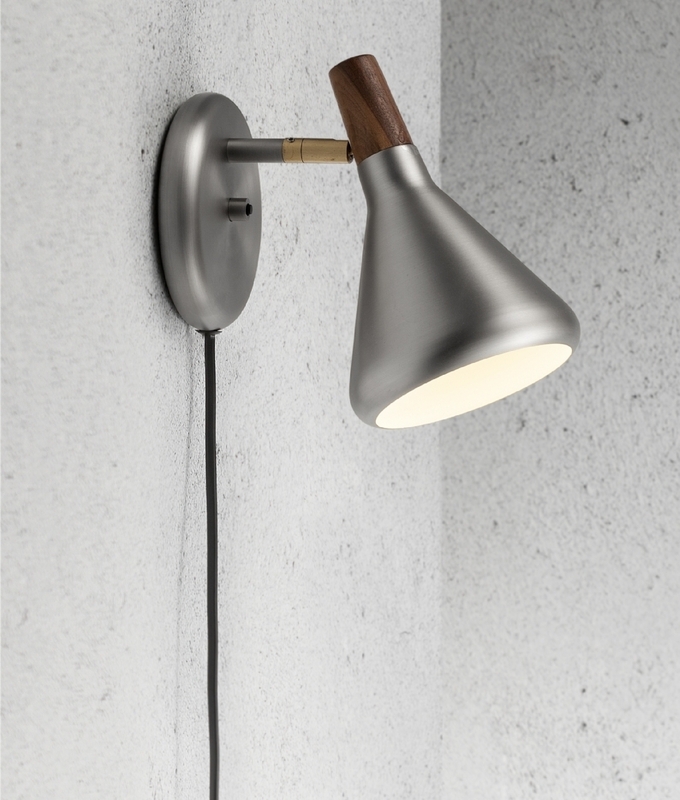 The lamp head is fully adjustable with a 90 degree tilt range and 350 degree rotation. The backplate is round and is 125mm in diameter. The product is also switched for ease of use. The product comes with a 1800mm trailing lead and plug which can be snipped off if not required (i.e. hard wire installation). Designed for use with standard mains GU10 base lamp up to a maximum of 28 watts. LED lamps last longer, do not get hot and save money! Is the cord optional? Can the light be wired into the wall and turned on/off using the button on the plate? Yes, this fitting can be hard wired and the trailing lead snipped off. Do you know how these switch on if using the plug? Is it the black button on the base plate, or is there a switch on the cable? There is a small black button switch on the backing plate that allows the light to be turned on or off. What is the measurement of the base of this lamp? So the circular part which screws into the wall? The backing plate is 125mm in diameter.